The Benaki Museum is the largest and oldest museum in Greece operating as a foundation under private law. It was founded in 1931 by Antoni Benaki, a member of a leading Greek family of Alexandria. 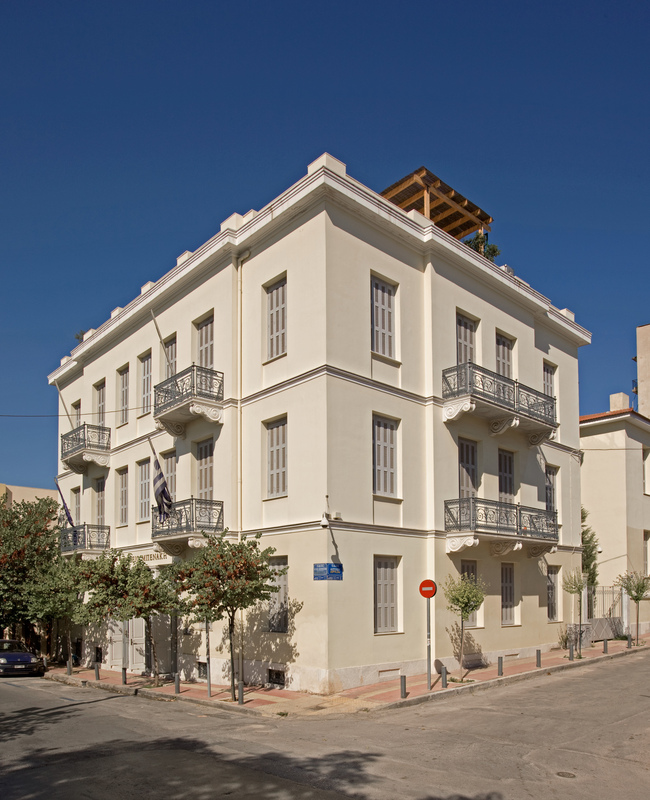 The current museum is decentralised: its hub is the neoclassical mansion presenting the evolution of Greek art from the Neolithic period to the present day. The autonomous buildings include the exhibition centre on Pireos Street, the historical archives in the Delta house, the Nikos Hadjikyriakos-Ghika gallery and the Museum of Islamic Art. 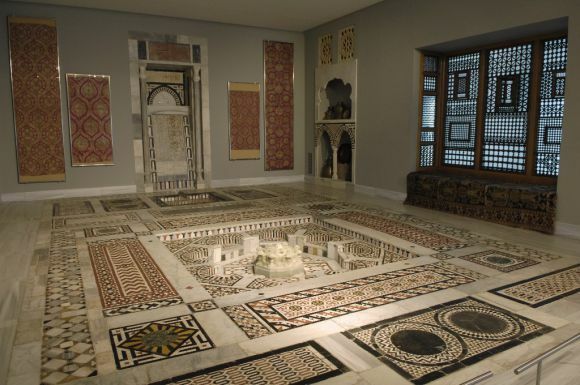 The Museum of Islamic Art is a renovated neoclassical building in Athens’ historic centre near the ancient Agora. It opened in 2004 to house the collection formed by Antoni Benaki during the early part of the 20th century, while he was living in Egypt. Subsequently enriched by other donations, today it contains c. 10,000 objects from the Middle East, Iran, Turkey, North Africa and India. It demonstrates the evolution of Islamic art up to the Ottoman period and corresponding developments to the middle of the 20th century. The collection includes ceramics, metalwork, jewellery, textiles, woodwork, glassware, ivories, funerary steles and arms and armour. The visitor first finds exhibits from the 7th to the 12th century. Highlights are lustreware, door panels from Iraq, Fatimid metalwork, tiraz textiles and a unique reed mat from 10th-century Tiberias. The second gallery exhibits objects from the 12th to the 16th century with Seljuq ceramics, Mamluk metalwork and pottery and highlights a brass box with the signature of Isma’il ibn al-Ward al-Mawsili dated 1220 and the astrolabe of Ahmad ibn al-Sarraj dated 1328/29. The third gallery displays a marble-lined reception room from a 17th-century mansion in Cairo, together with its fountain, qamariyya windows and a mashrabiyya screen. 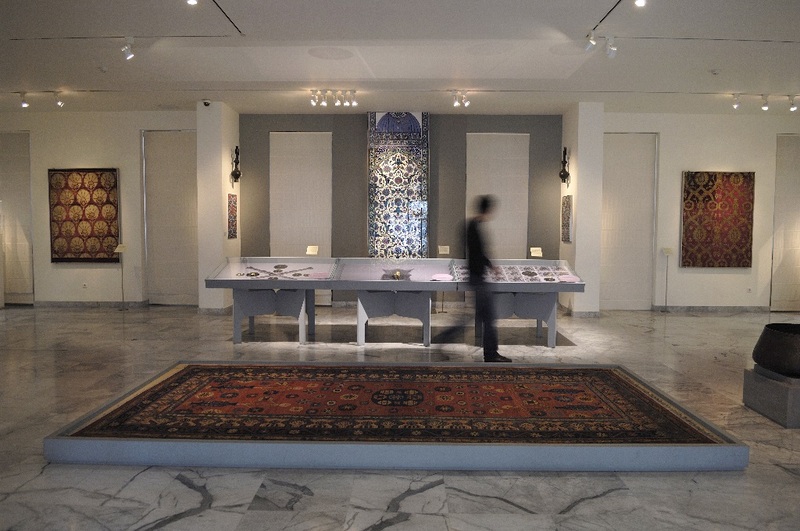 Other noteworthy exhibits are the collection of Iznik pottery and a 16th-century velvet saddle from Bursa. The fourth and last gallery presents arms and armour and an important collection of Qajar jewellery that was collected by Argine Salvagos, sister of the founder. During preservation work, a large section of the ancient city wall of Athens from the 4th century BC was uncovered and remains in situ at basement level, accessible to visitors.